SMARTech energy and it’s subsidiary brand, SMARTech Heating & Cooling care about the well-being and mental health of our employees, customers and local community, which is why we are proud to be a Champion sponsor of the Mighty Titans vs.The Entire Country Fundraising Challenge in aid of Wiltshire Mind. 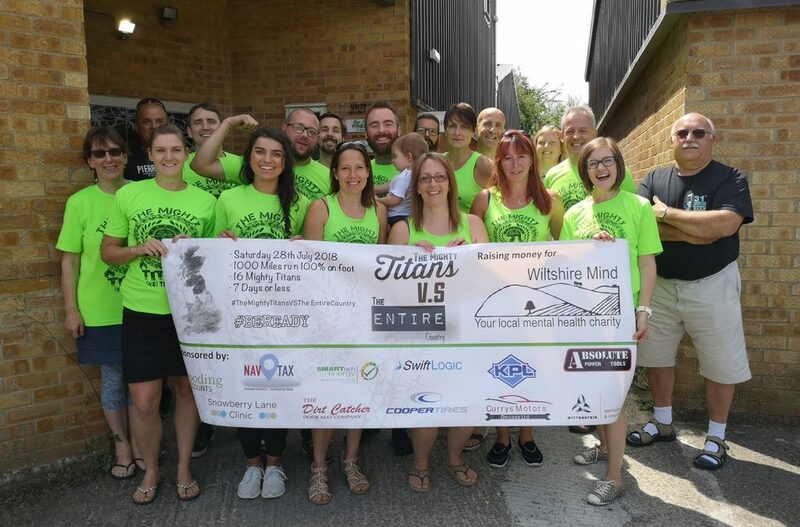 On Saturday 28th July 2018, fifteen Mighty Titans of New Era Fitness, based in Melksham, will be running the length of the country. Starting at Land’s End, they will run round the clock for seven days in order to reach the finish line at John O’Groats by Saturday 4 August. The team will cover roughly 1,000 miles between them. The aim of the challenge is to raise vital funds for local mental health charity Wiltshire Mind, as well as awareness for the importance of good mental health. Wiltshire Mind is based at the heart of the Wiltshire community and provides essential services throughout our county. With support groups in Chippenham, Devizes, Malmesbury, Trowbridge, Salisbury and Melksham they play a key role in supporting the safety and well-being of our community. Their vision is of a society that promotes and protects good mental health for all and that treats people with experience of mental distress fairly, positively and with respect; helping them to find the support they need and deserve.